European Alder or European Ash body, European Maple neck, Indian Rosewood fingerboard. 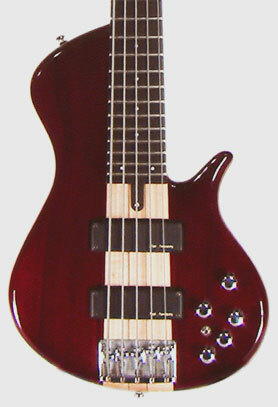 Through neck are made from Canadian Rock Maple with Indian Rosewood fingerboard. These model bodies are made from Alder or Mahogany. Other materials on the request, depends on actual stock supply. Electronics - pickups, actives, potentiometers and switches: prices depends on our suppliers prices. Pearl or Abalone inlays: custom made on the request.